How many times have you heard wonderful things about a place you are about to visit, only to be disappointed when you get there? 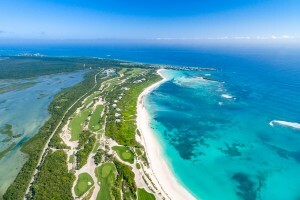 That was my fear when we recently visited The Abaco Club at Winding Bay in the Bahamas. Could it possibly rise to the lofty standards set by those visitors who preceded us? From the moment you arrive at The Abaco Club at Winding Bay, you know you have entered the world of extraordinary. After a short drive from Marsh Harbour International Airport, you are greeted at check-in with a warm smile, a cold rum drink and a freshly baked cookie. Then you are treated to a golf cart tour of the lushly landscaped island, visiting all the places that promise to make this a vacation full of as much activity, or as little, as you could possibly want. After the tour you are given a personal golf cart for use throughout your stay, and the promise of assistance with anything you need to make this a memorable getaway. Many will be perfectly content lounging by the calm and colorful waters of Winding Bay. Flippers Beach Bar is right there with a willing crew to quench your thirst with a wide variety of island drinks throughout the day, while also serving breakfast and lunch. And you can’t beat the view. As tempting as that sounds however, you’ll want to take advantage of some of what this impressive club has to offer. 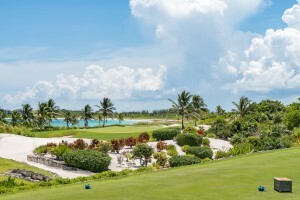 And I would start with a round of golf on the links-style golf course at The Abaco Club, host to a Web.Com Tour event each January. The course offers a tour-level challenge, especially with its elevated, undulating greens that are protected by deep bunkers and run-off areas that swallow golf balls and provide a variety of options for attempting to save par. Many of the fairways are bordered on both sides by vast waste bunkers, and at least a half dozen holes play along the shoreline of either Winding Bay on the front nine or the Atlantic Ocean on the back, providing stunning views. When I played there in June the course was in immaculate condition. I felt as if I should email an apology to superintendent Matt DiMase each time I took a divot on an approach shot. Never saw a bare spot, and even took off my shoes and walked barefoot on one fairway just to see if the turf felt as good as it looked. Most of the wide variety of holes are memorable, none more so than the closing four. No. 15 tee sits high atop a bluff, accentuating the elevation change that is so unique to the Bahamas. No. 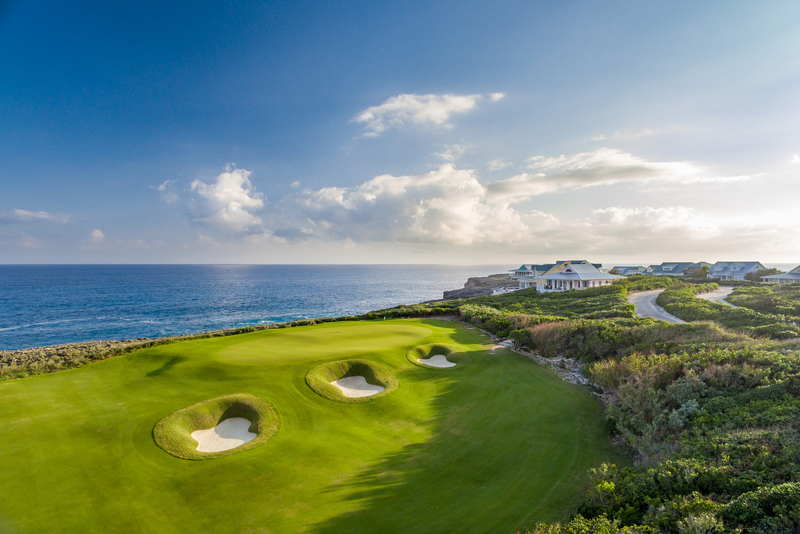 16 is a par four that plays around an old quarry, uphill to a green from which the Atlantic Ocean comes into view. If you had to choose a signature hole for photography, it would probably be the par three 17th, which is bordered on the right by a cliff feeding down to the Atlantic, very much in view throughout the hole. If you have a healthy imagination, you might think you were standing on one of the many holes overlooking the dramatic Fife coastline in Scotland. My choice for best hole would be the 18th, a marvelous par five that hugs the rocky coastline from an elevated tee down a right-sloping fairway to an elevated green. 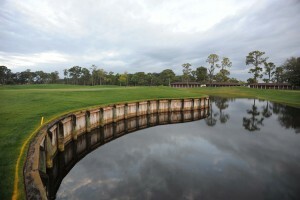 Architects Donald Steele and Tom Mackenzie definitely utilized this amazing setting to the utmost on the closer. A world-class practice facility is there for those wishing to sharpen their skills, including a short-game practice area that rivals any I’ve seen. Homeowner, club member and – oh yes, Open Champion – Darren Clarke utilizes the practice area when he is away from tour events. The Abaco Club offers two choices. Flippers Beach Bar is the more relaxed option serving breakfast, lunch and occasionally specialty dinner – a la The Burger Bar o n Friday nights – highly recommended. 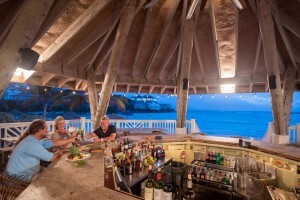 It matches the overall slogan of The Abaco Club – barefoot luxury – with a Tiki bar, sidewalk café kind of feel. 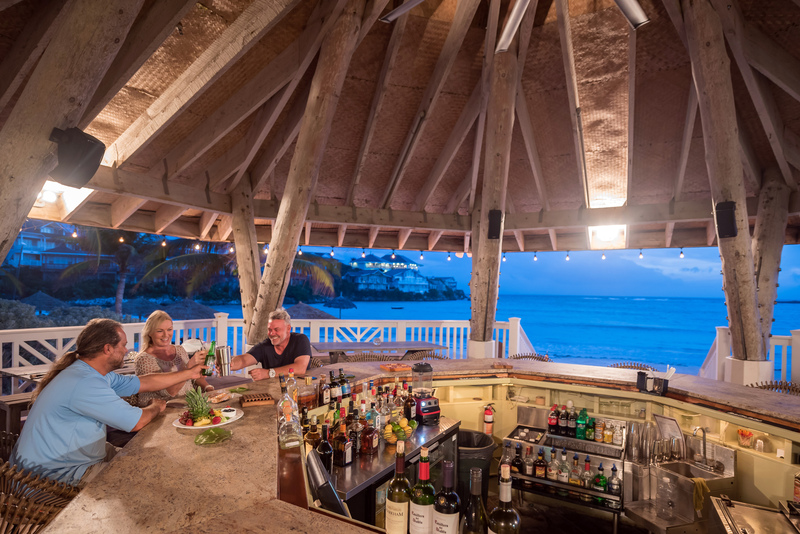 From your seat in the open air at Flippers you can watch the sun rise or set while overlooking the sandy white beaches and the various shades of blue in Winding Bay. The appropriately named Cliff House sits atop one of the highest poi nts on the island overlooking Winding Bay and the daily sunsets. Nightly dinners at the octagonal shaped Cliff House feature the fresh catch of the day as well as many other delightful selections. Close out your night with a drink at the Cliff House bar or out on the poolside patio. Pete’s Pub is not officially part of the club offerings. But you don’t want to miss it during your trip to The Abaco Club. Just let your concierge know you’d like to go and you’ll be shuttled to this unique bar and dining experience a short ride away. If you are looking for white glove fine dining, Pete’s is not for you. But if you want to relax, listen to some tunes in your shorts or swimsuit and enjoy a fresh, delicious meal, this is a fun place to go. 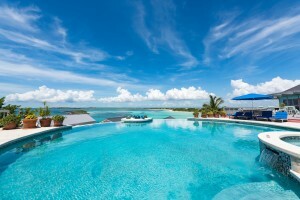 Every water activity imaginable is available at The Abaco Club. It’s the perfect setting. The small, offshore barrier islands and cays that surround Great Abaco make this an ideal location for boating and sailing. One of the largest reef systems in the world, stretching for more than 120 miles, is home to innumerable species of beautiful sea life, from dolphins to sea turtles to brightly colored tropical fish. So snorkeling is an obvious choice. It you are looking for a more relaxed day of leisure, the beach at Winding Bay is the perfect choice. A coral reef and a small island, Sugar Cay, provide protection against the rough ocean waves, creating a tranquil, colorful and smooth body of water perfect for swimming, paddle boarding or boating, kayaking and more. 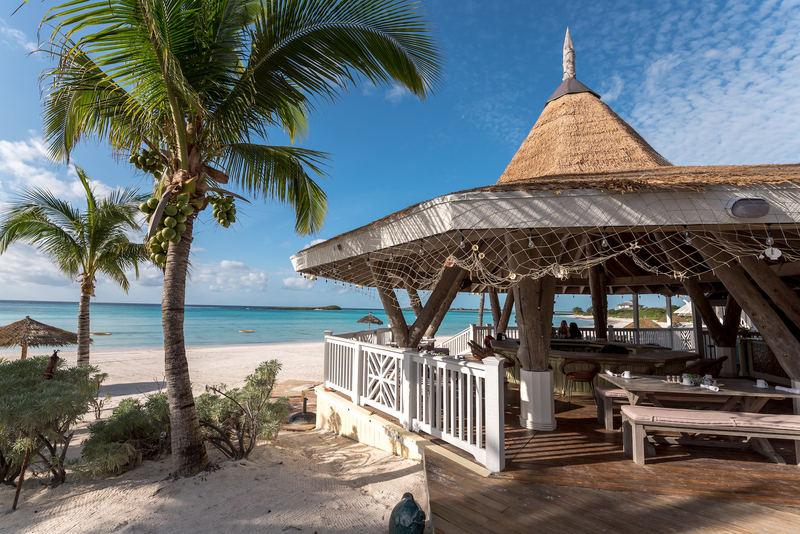 Or simply enjoy the beautiful setting from a lounge chair under a natural palm-frond umbrella. A full-service spa, gym, tennis courts and complimentary bicycle rentals round out the choices. Though The Abaco Club is private, you can visit as a guest up to three times, choosing among luxurious rental options that start at $4 95 per night. The one-bedroom, octagonal cabanas are situated among the beautiful tropical foliage between the first fairway and the two-mile stretch of the white sand beach. They are well appointed with four-poster beds, a comfortable sitting area in front of the flat-screened TV, and a screened wrap-around porch that is perfect for morning coffee or late afternoon cocktails. The 2-, 3- and 4-bedroom cottages rest comfortably on the upper ridge of The Abaco Club, overlooking the ocean or the bay. 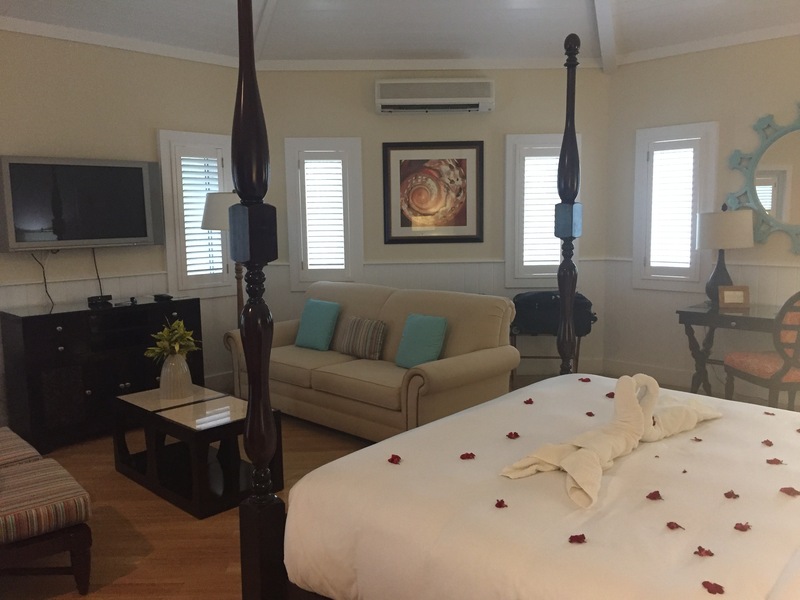 The colorful island cottages offer several turnkey furnishing packages and floor plans, all of which provide ample outdoor areas for taking full advantage of your tropical surroundings. The grand oceanfront estate homes are just what you would expect, luxury beyond belief. And all of these vacation options are available for purchase when you decide to m ake this private club community a permanent getaway from life’s everyday hassles. 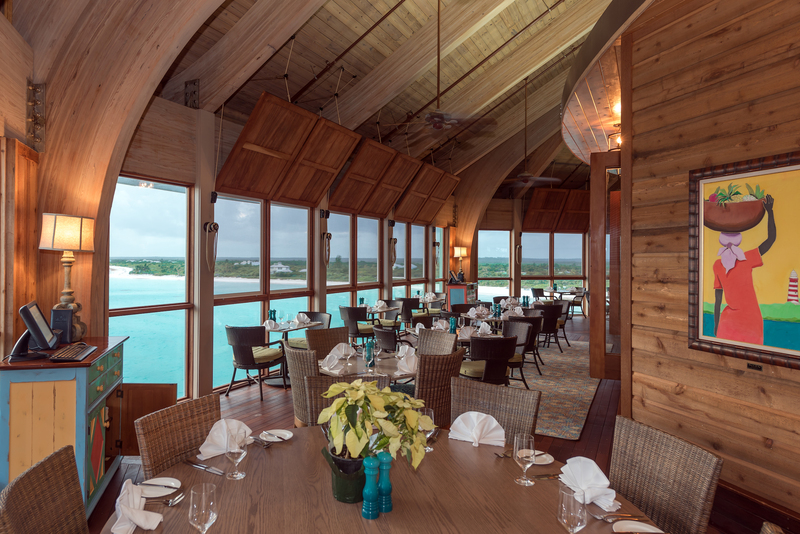 Yes, our trip to The Abaco Club matched the hype. There is something magical about this place, and the future is even brighter. 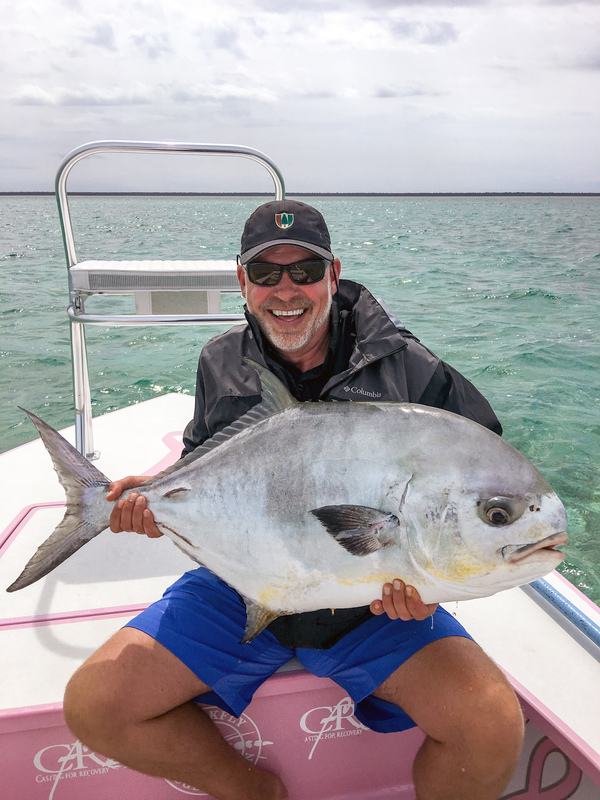 Since taking ownership of The Abaco Club a few years back, the Southworth Development has made steady improvements, with more on the books. Peel back the layers of the Phil Mickelson incident at the U.S. Open last week and you will find three clear points. One. When Mickelson scurried to his moving ball on the 13th green Saturday and slapped it back toward the hole, he violated more than rules. He damaged the spirit of the game. Maybe it was a flick of the finger to the USGA about the ridiculous pin placement on that hole, or the fact that the course may have gotten away from them on a very difficult Saturday afternoon. Regardless, he shouldn’t have gone Goofy on the Open, and following his TV interview after his round in which he admitted that he purposely stopped his ball from rolling off the green, he should have been disqualified. Period. Two. The various rules that address this action are vague and should be changed into one rule. If you strike a moving ball, you should be disqualified. What if all the players decided to do this? Bring back Barnum and Bailey. Three. The uproar the incident evoked is symbolic of a bigger issue facing our game. Many outside the game look at golf as being too stodgy, too hamstrung by rules. If you were someone thinking about taking up golf, and you watched the explosion of emotion on both sides of this argument, you probably decided to Google bowling. As many people today are talking about Phil-Gate as they are Brooks Koepka’s impressive clutch play on Sunday. Kudos to the USGA and Royal & Ancient for tinkering with the rulebook last year, creating a few changes that will take effect next year. But it may be time for a complete overhaul. In today’s world, “keep it simple, stupid” should be the standard. Here’s an idea. If you’re someone who has an annual salary that includes 6 or more zeroes, kneel down, close your eyes and thank whatever higher power you believe in that you live in the United States of America. Especially if the check with all those zeroes comes from the NFL, NBA, MLB, NHL or any other organization that rewards you for playing a game you love, utilizing God-given talents. Here’s another idea. Instead of taking a knee, take some initiative that could produce real results, not feed the divisive frenzy that has overtaken this country. There are nearly 1,700 players in the NFL, and the average salary is approximately $1 million per player. If every NFL player coughed up 10 percent of his salary, a $170,000,000 pool would be created to donate to whatever causes for which they are taking a knee. And, by the way, leave them $900,000 a year to feed and shelter their families. The same goes to all those Hollywood hypocrites who bank millions of our dollars while playing roles. I admire their ability to make me laugh and cry. I’m glad they are there to help me escape from the challenges of real life, and I don’t mind paying for their talents. But I don’t give a damn about their political opinions. Shut up, do your job, make your millions and while you’re at it, organize a 10-percent fund to help the causes about which you rant. Will those dollars eliminate all the issues the citizens of this country face on a daily basis? No. But it is a start. And it’s certainly more productive than participating in rhetoric and actions that only deepen the chasm that is growing between left and right. Mr. President, quit tweeting. Football players, quit protesting. Actors, shut up. 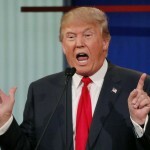 Just start putting your excessive millions where your mouths are. After watching Quail Hollow devour much of the PGA Championship field in the second round last Friday, I began channel surfing and stumbled upon what turned out to be the greatest sudden-death match in USGA history. 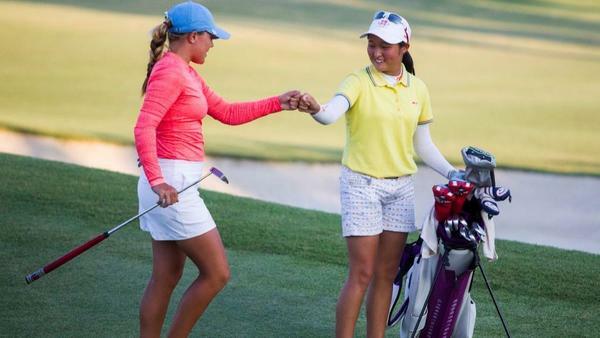 It was the quarterfinals of the U.S. Women’s Amateur Championship at San Diego Country Club. Lauren Stephenson and C.Y. Wu finished all square after 18 holes and headed for the 10th tee to settle the fourth and final spot in the semifinals. Two hours and a few miracles later they were still slugging it out. The 20-year-old Stephenson outdrove the 13-year-old Wu by monstrous proportions on every hole, and took full advantage of her length by sticking short iron after short iron within very makeable birdie range. But putt after putt lipped out or just missed the cup, allowing the scrappy teenager to stay alive with scrambling skills that would make Phil take notice. Stephenson missed five putts of 10 feet or closer from the 17th hole on. Any one of them would have ended the match. Then on hole 26, Stephenson said, “enough is enough,” all but holing a wedge shot, leaving her a gimme-length tap-in for birdie. Wu, meanwhile, came up woefully short on her hybrid approach shot, and faced a 70-foot putt for birdie to stay alive. This marathon was finally going to end. But as Wu’s putt rolled through the lengthening shadows toward the hole, Stephenson could sense what was about to happen. All she could do was smile and applaud as the ball dropped into the cup for a tying birdie. “That putt, I mean, that’s going to be on TV, and you’re going to see that forever. That was crazy,” Stephenson would say later. The drama continued until the 30th hole – the 12th playoff hole and the fourth time for the pair playing the 18th. Stephenson struck her first poor tee shot of the playoff and the South Carolinian ended up making bogey. Meanwhile the unflappable 13-year-old Wu also struggled on the hole and faced a 20-foot putt in the fading light to save par and bring the theater to an end. Nobody in the gallery was surprised when she drained the putt, just before the sun disappeared. The match broke an 87-year-old record to become the longest sudden-death match in USGA history. And it certainly gained a few fans for women’s amateur golf. If you’re not playing golf with clubs fitted specifically for your swing and body characteristics, then you’re giving up strokes to your opponents. I learned this lesson recently in a way that has changed my entire outlook on golf. 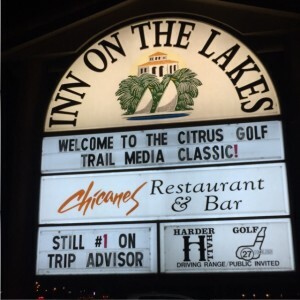 I had slipped into a funk that was turning my weekly Saturday morning trip to the golf course into something more akin to a visit to the dentist chair. Only worse. At least in the dentist chair you get a shot of Novocain and a promise that all will be better. Specifically, my iron game was my toothache. I was having trouble squaring the club at impact, producing squirters to the right or wounded ducks to the left. The more I tweaked my swing the worse it got. 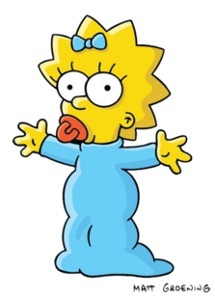 My greens in regulation could by counted by Maggie Simpson. And my handicap rose like a free flying balloon, from single digits to a 14. Then one day the light switched on. I had added 10 years, a few pounds and two new hips since I had last been fitted for my clubs. It was time. 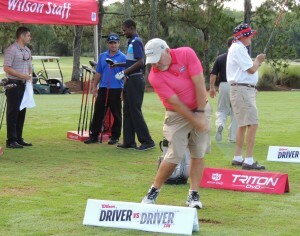 At the ING Spring Conference in May at the World Golf Village I had the Wilson Golf re p watch my swing on a strike board. I tried a few different shafts and it turned out that the regular shaft was producing high, straight shots. So two days later I went to the Golf Galaxy store in Altamonte Springs, FL, and went through the complete fitting process. Thirty minutes and about four-dozen swings later, the stats on the monitor told the story – I have aged out of stiff shafts. I purchased a set of the beautiful Wilson Staff C200 irons. Two days later I was off to the Mesquite Amateur in Nevada to join 600 other amateurs from around the country. And the magic began. Ten greens in regulation during the first round. Nine in round two and 10 again in the third round. Then in the championship round, I hit 12 greens and shot a net 67, good for a tie for first. I eventually lost the Mesquite Am t itle on the second hole of sudden death. But what I won was a renewed love of playing the game. A Golf Digest study four years ago indicated that a group of nine gofers lowered their handicaps by 1.7 strokes after getting fitted for clubs. They added an average of 21 yards off the tee and 13 yards with irons. It works. There are many ways to get fitted. Companies like Club Champion are not married to any particular brand and will fit you to the clubs that best suit your game and swing. The Association of Golf Clubfitting Professionals has members across the country. And if you are partial to a particular brand, most companies have their own fitting systems, such as the TaylorMade Performance Labs. However you decide to get fitted, you’ll be glad you did. It’s better than Novocain, which only hides the pain. It actually eliminates the pain for good, or at least until your next hip replacement. 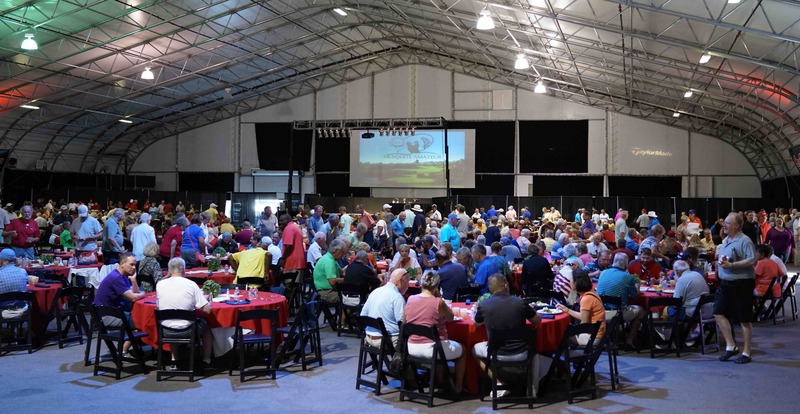 Why would folks from the golf-rich state of Florida travel over 2,500 miles to play in an amateur golf tournament in the middle of the desert? If that tournament is the Mesquite Amateur, let me count the ways. 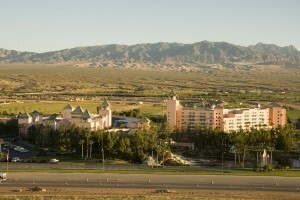 The 15th Anniversary of the Mesquite Am was conducted in late May in this small desert town 80 miles north of Las Vegas. 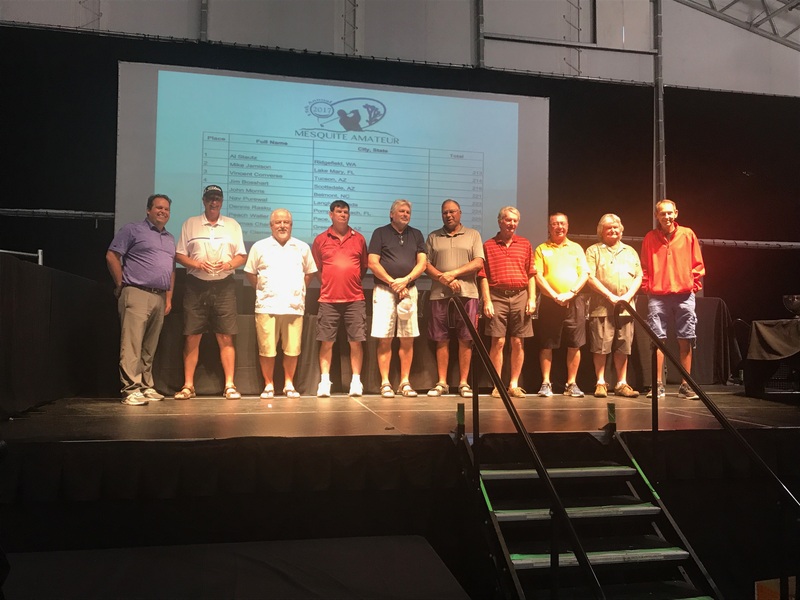 Over 600 golfers representing 38 states, six countries and a wide range of skill levels competed in this memorable event that kicks off on Memorial Day every year. Among the 40-plus Floridians competing in the tournament was Jill Natale of Lake Mary, and maybe she best nailed the reasons why the tournament is worth the trip. Peach Waller, who conducts tournaments in the southeast from his home base in the Florida Panhandle, agreed. 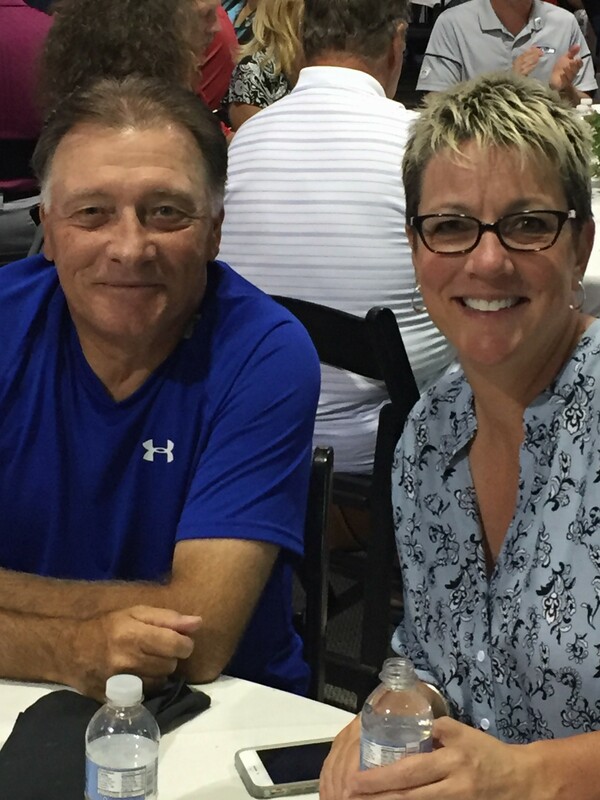 Kirk and Brenda Hulbert of Denver have made Mesquite a permanent part of their lives. They first went to Mesquite in 2004 visiting a cousin. Before the weekend was over, they had purchased a second home. 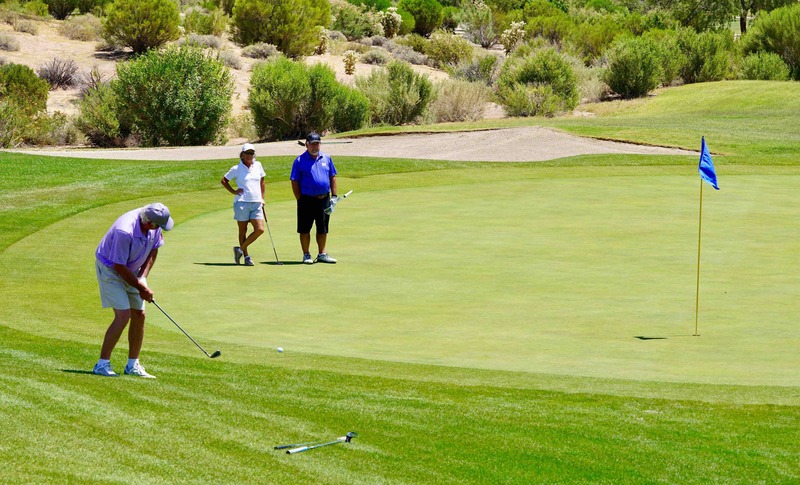 Every year on Memorial Day, the community comes together to welcome men and women golfers of all ages and abilities who compete on the six courses of Mesquite in the 54-hole tournament. The event is hosted by Mesquite Gaming, with nightly activities, including a sit-down dinner and prize drawings, taking place at the CasaBlanca Resort & Casino. Oh. There is one more big reason for Floridians to make the cross-country trek – to win. The top 10 finishers in each of 18 flights share a prize pool of $2,850 worth of gift certificates from either TaylorMade or Callaway. And the top four finishers in each flight advance to the Championship Round on Friday on the challenging CasaBlanca Golf Course. 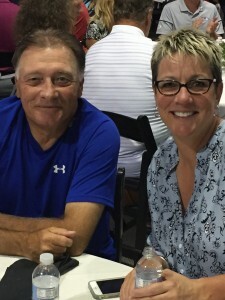 This year four players tied for first at 5-under-par net in the Championship Round, two of them from Florida – Gigi Higgins of Cape Coral and Mike Jamison of Lake Mary. On the second hole of sudden death, Higgins stuck her approach shot 18 inches from the hole and tapped in for the winning birdie. Benny Marchese of Arizona is one of hundreds who will definitely return in 2018. And well worth the cross-country trek for Floridians. How ridiculous did our sport look on Sunday afternoon during the final round of the LPGA’s first major of the year, the ANA Inspiration? Playing brilliantly, Lexi Thompson held a three-stroke lead with six holes remaining when LPGA Tour officials told her that she had incurred a four-stroke penalty for incorrectly positioning her ball as she set up for a tap-in – 24 HOURS EARLIER! Some jerk fan who needs a life saw the infraction on a replay and reported it Sunday afternoon. Officials reviewed and decided to add the penalty – two strokes for playing from the wrong position, two more for signing an incorrect scorecard. Thompson, fighting bac k tears, showed grit by making birdie on three of the final six holes to move into a tie, but lost to So Yeon Ryu in a playoff. Who is to blame? You can debate whether or not the rule is ridiculous. After marking her ball to clean it, she placed it a fraction of an inch from where it was previously. It had absolutely no effect on her ability to tap in a one-foot putt. You can question whether the two-stroke penalty for signing an incorrect scorecard should have been enforced because at the time, she thought she was signing for a correct score. There should be no debate, however, when it comes to making referees out of golf fans watching the tournament from their living rooms. Unless you have cameras recording every shot of every round of a tournament, then replays should not be used to determine rules infractions. I wonder if So Yeon Ryu replaced her ball perfectly on every green? Or if every drop from a hazard was made properly? Or did any player accidentally touch the sand when hitting from a bunker? We’ll never know because we can’t see video replay on every shot struck during the tournament. Our sport has enough issues, not the least of which is attracting new players. Any prospective golfers watching that debacle Sunday afternoon probably decided that tennis might be a better choice. While I am excited that the PGA Tour has made the left turn from southern California for its annual trek to Florida, my enthusiasm is dampened this year due to one glaring absence. 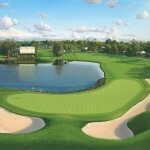 Trump National Doral’s Blue Monster has hosted the PGA Tour since 1962. Only Augusta National, Pebble Beach and Colonial can match that streak. Now, thanks in part to the political correctness flu that has infected our society in the past decade, the normal Doral tour slot has been airlifted to Mexico City. 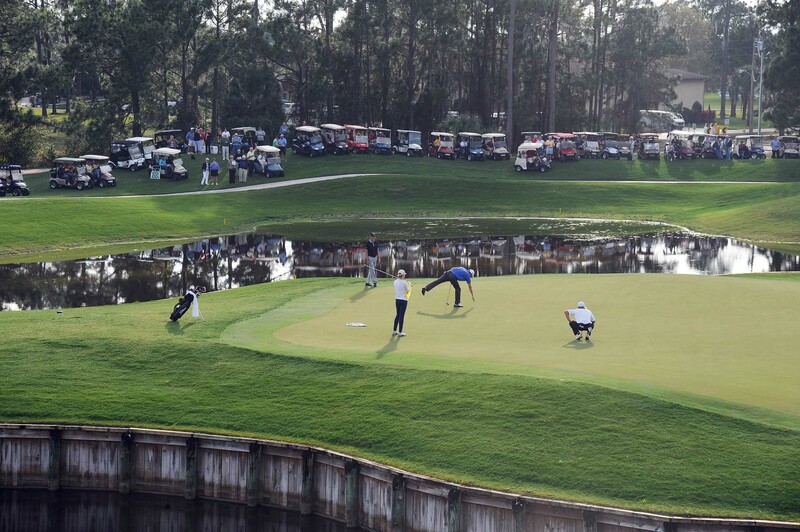 PGA Tour officials said the move had a lot to do with sponsorship opportunities, as Cadillac wanted to trim its title sponsorship dollars from $14 million to $6 million. 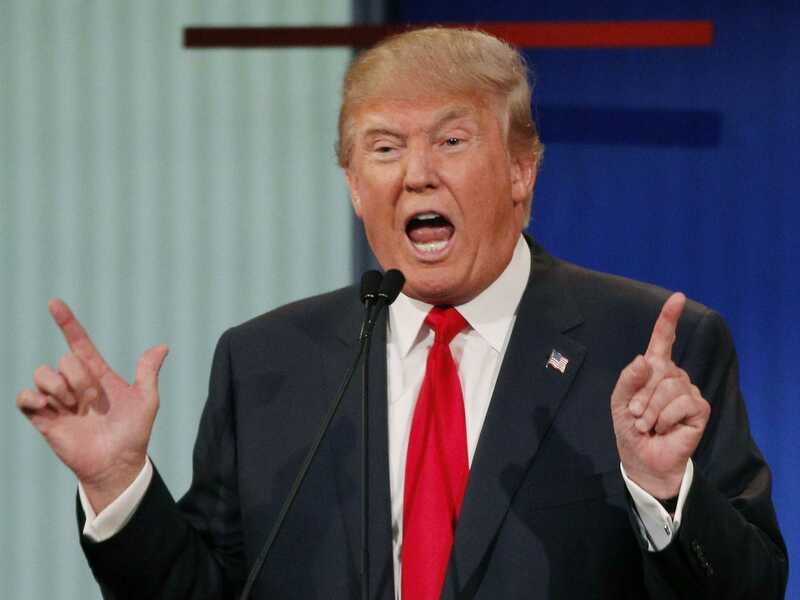 Timing suggests the PGA Tour was responding to then-presidential candidate Don Trump’s steady flow of negative comments tied to his promise to “build the wall” between the U.S. and Mexico. I’m sure the truth lies in some combination of the two factors. 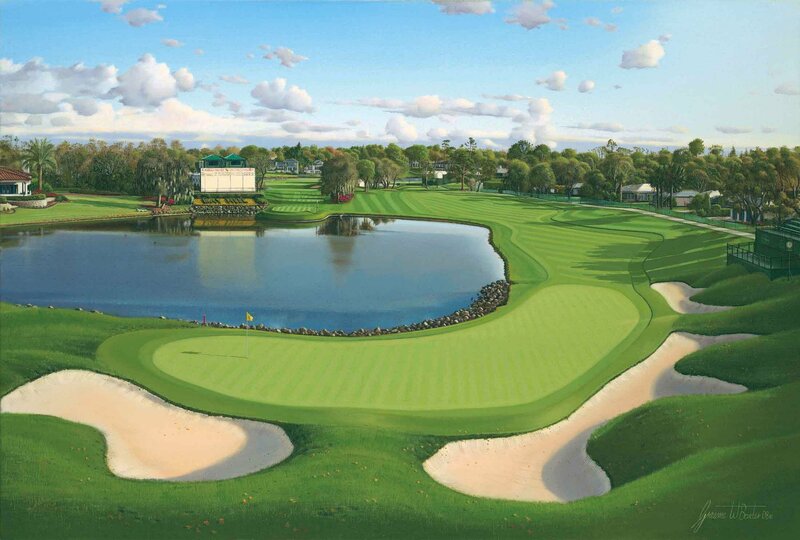 But considering the history of the PGA Tour and Doral, it’s a shame more effort was not made to save the site. I’ll miss watching the world’s best players shake in their Foot Joys as they stare out at the wind-swept, treacherously narrow 18th fairway, wondering if their round is about to go south. So we’ll have to make do with the Honda Classic this week at PGA National, the Valspar Championship at Innisbrook (March 9-12) and the Arnold Palmer Invitational at Bay Hill (March 16-19). All are great tracks with memorable finishing holes, sure to provide Sunday afternoon drama. But without Doral, it just won’t be the same. Recently duty called me to a different kind of destination, one known more for race cars than golf carts. 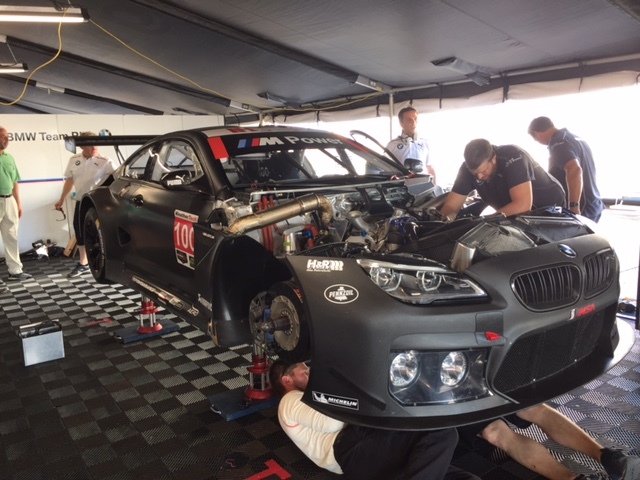 Sebring, FL, has hosted the 12 Hours Of Sebring road race annually since 1952 at Sebring International Raceway, placing it among the elite destinations for racing enthusiasts worldwide. They include a Donald Ross design that was site of the first nationally televised golf tournament back in the 50’s. 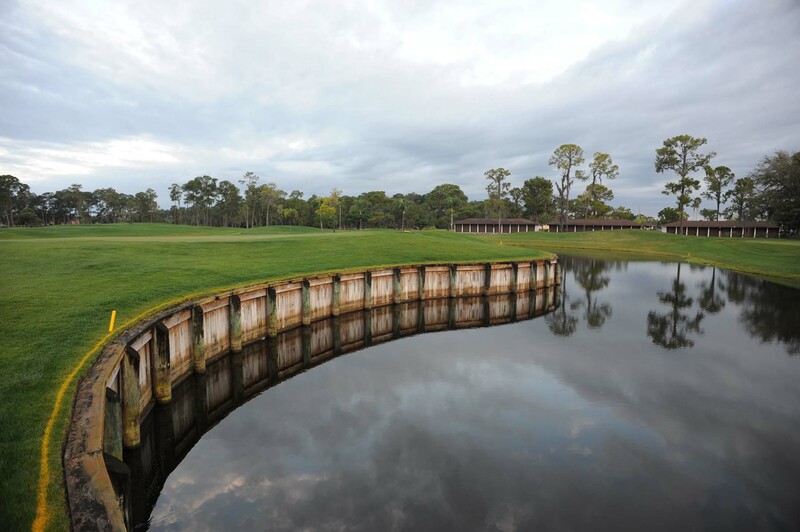 The recently renovated Pinecrest Country Club is carved out of orange groves and features the nuances Ross is known for – small, elevated greens with false fronts that test even the best short games. 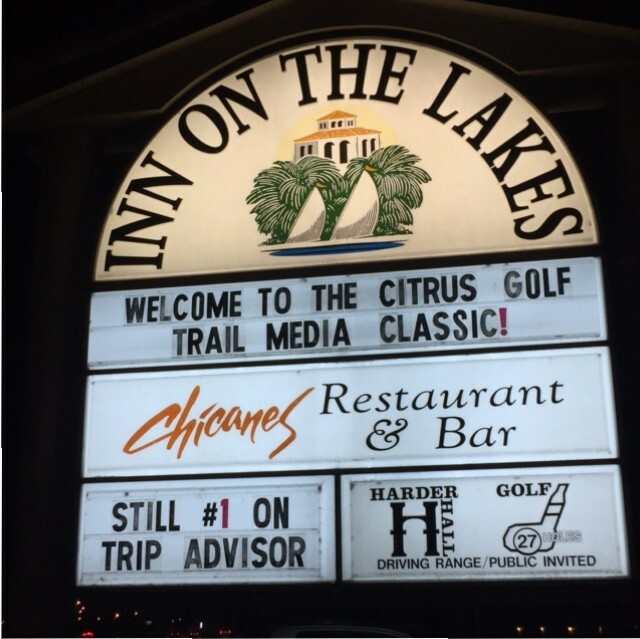 The history lesson continues at Harder Hall Country Club, where players like Christie Kerr, Natalie Gulbis Brittany Lincicome, Charley Hull and Stacy Lewis have won the Harder Hall Women’s Invitational held every January. Diverse activities for post-golf adventures abound. You can tour the town of Placid Lakes and its dozens of fascinating murals that cover the sirs of buildings. And check out the Clown Academy and Museum while you’re there. 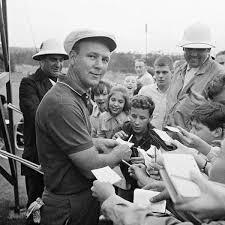 During my sports writing career I had the privilege of interviewing The King, Arnold Palmer, on several occasions. But non e was more reflective of the essence of the man than the very first time. As an 18-year-old intern for the Charlotte News, I was assigned to do a sidebar on Mr. Palmer after the first round of the Kemper Open at Quail Hollow Country Club. Mr. Palmer owned a home along the 15th fairway at Quail Hollow, and was considered the unofficial host of what was a regular tour stop back in the 70’s. Through most of my 18 years I had idolized Arnie, keeping a scrapbook of his career and taping photos on the walls of my room. 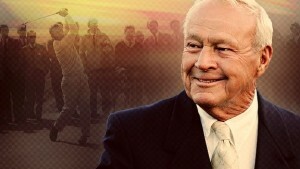 So needless to say, I was a very nervous teenager when I approached Mr. Palmer as he walked out of the press tent. Of the hundreds of professional athletes I have interviewed, I can’t think of another who would have made such a gesture to calm a scared rookie sports writer. Few have matched Mr. Palmer’s accomplishments on the golf course. 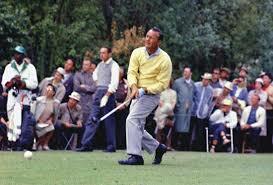 And his contributions to the game of golf and to society as a whole have been well chronicled. He stands alone atop the pinnacle of ambassadors of golf and life. What I will remember most about the wonderful man, however, is the graciousness and generosity he showed to the lucky folks who crossed his path. We all can learn a lesson from this aspect of Arnold Palmer’s life.